In about 20min you are good to go for another session 🙂 With a large lipo you can charge the OW up multiple times. You don’t own an Onewheel yet? 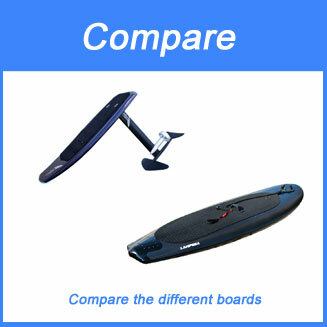 Check out our Onewheel review. Wanna see the charge in action. Watch our Onewheel movie on our Youtube channel. 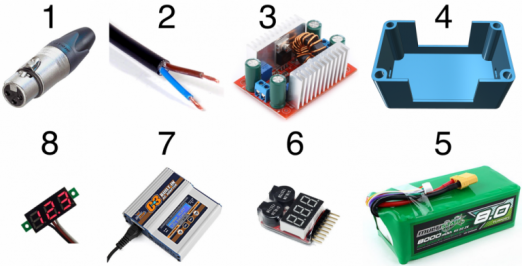 This project deals with electrical current and lipo batteries which can be very dangerous. Please read the tutorial completely and proceed cautiously. You have probably such a cable laying around, 3 feet / 1m. You can use any case you want. Please make sure the heat sinks aren’t covered. Coupling: when you buy one of the recommended battery packs you need a male XT90 jack. When you buy an other battery you may need another coupling. 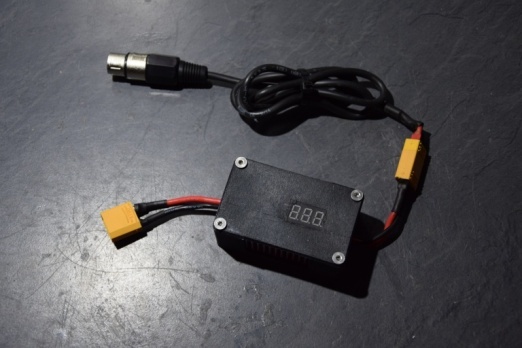 You can use any 6s lipo balance charger you like. Here is a budget charger (charging takes a bit longer). 3. Onewheel DIY portable charger – How does it work? The original Onewheel charger converts 110-230V AC to ≈58V DC and provide 3.5A. So we have to build a power source which is capable of providing the same amount of current at the same voltage level. 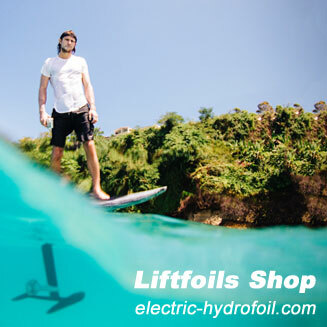 Lipo batteries are a common power source which are perfect for our application. 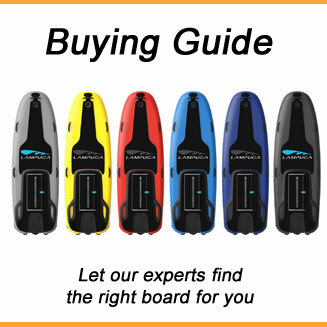 They are cheap and are available in many configurations. 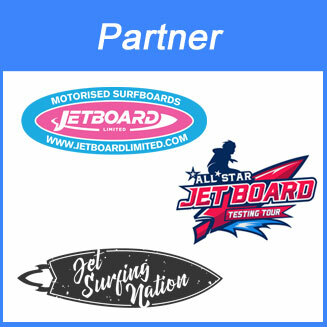 You can find more information in our DIY electric skateboard article. 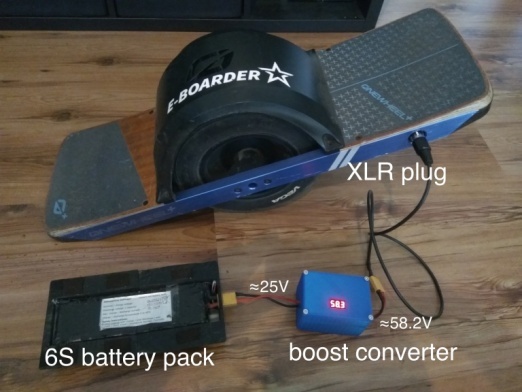 In order to get 58V to charge the Onewheel we need a boost converter which steps the voltage up (25V —> 58V). 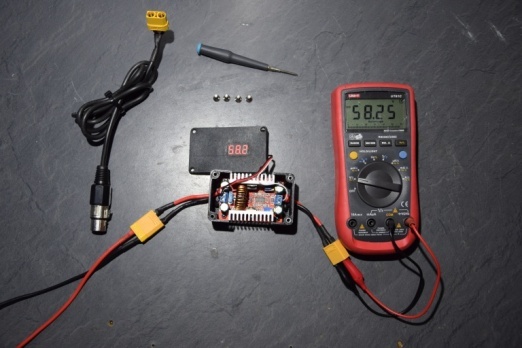 The boost converter is also capable of limiting the charging current to 3.5A. Take the power cord and cut it into two pieces (a short piece and a longer piece). Then strip all single wires at each end and make them nice with some solder. Take the XLR plug apart. Solder the minus wire (blue wire of the long piece) to pin 1. 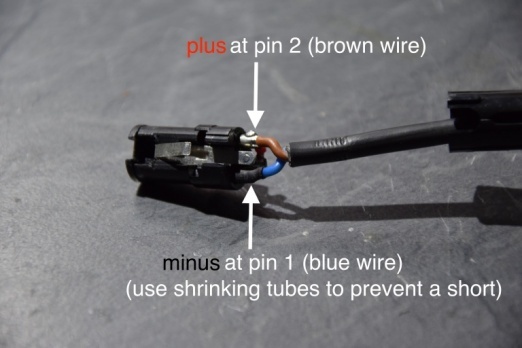 Use shrinking tube to isolate the pin. 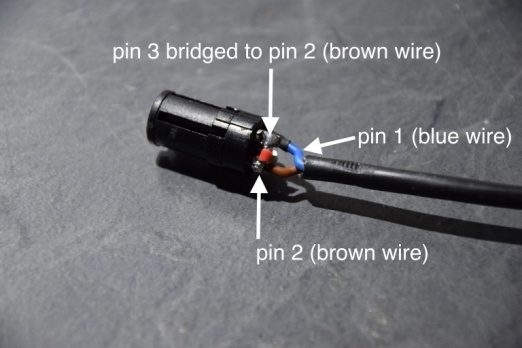 Solder the plus wire (brown wire of the long piece) to pin 2. Take a piece of wire and bridge pin 2 and pin 3 like on the picture. Before reassembling the plug make sure everything is soldered properly. Put the boost converter module into the case. When you use the 3D printed case the module will fit perfectly and it will stay in place. Optional: Voltage display: Take the red and the black wire of the display module and connect them to the input terminal. The white wire has to be connected to the plus pole of the output terminal. Connect the (fully charged) battery pack to the boost converter via the XT90 connector. The voltage display should power up as well. Take a multimeter and measure the voltage at the output terminal. Use a small screw driver and adjust the voltage to 58.2V by using the voltage trimmer. The voltage display should show roughly the same voltage. You can adjust the display by using the mini trimmer on the back of the display. It should show 58.2V afterwards. 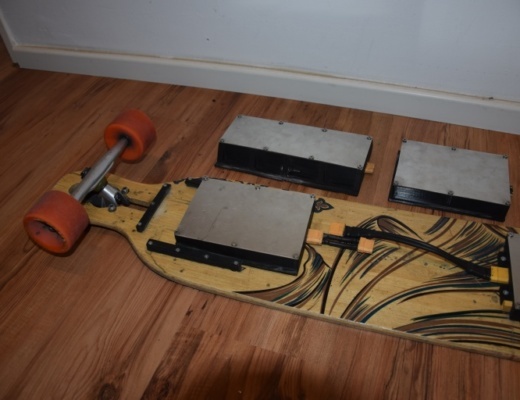 In order to do this the Onewheel battery must not be fully charged. Put the XLR plug into the OW charging port. Please go into the settings menu of the OneWheel app and check the charging current (at the end of the table). If is more than 4A use the current trimmer to decrease the charging current to 3.5A. 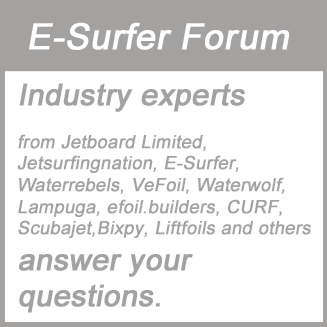 If the charging current is less than 3.5A you can increase it. Caution: The Onewheel DIY portable charger has no over discharge protection. That means we have to disconnect the battery manually when it’s voltage level become low (≈19.2V). 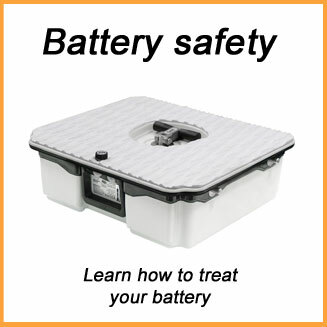 Over discharge can be dangerous and it will damage the battery. For this reason it is advisable to use a lipo alarm buzzer. Please connect it to the balance connector of the battery every time you use the charger. After connecting it, it will beep and show the total voltage and the voltages of each cell. With the button please set the cell threshold voltage to 3.2V. 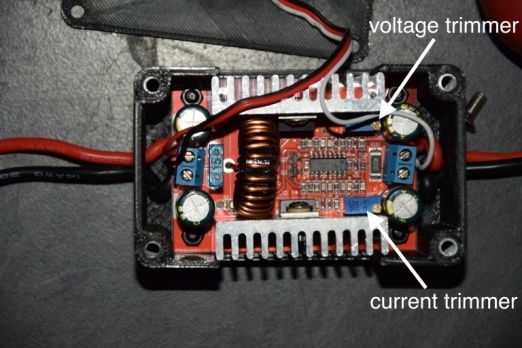 If one of the 6 cells fall below 3.2V the lipo alarm starts beeping very loud. Now you must unplug the battery immediately and charge it with your lipo charger. Please note: the beeping is just a signal. The charging process is still continuing. Never leave the charging process unattended! 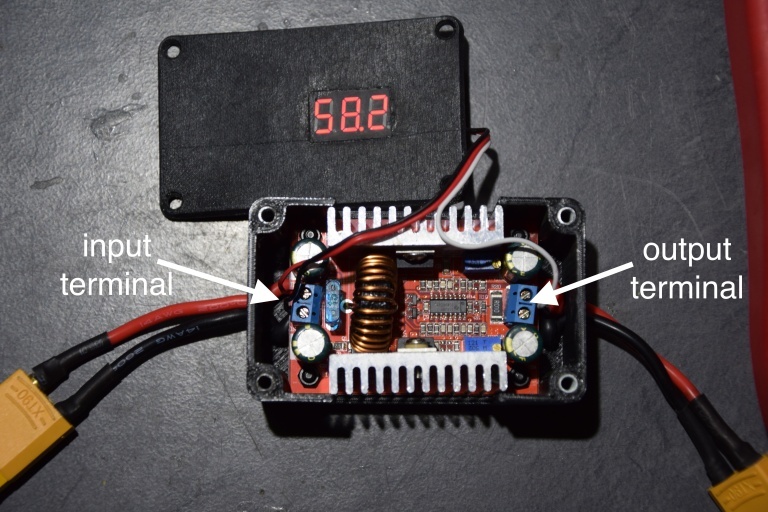 Usage: Connect the lipo alarm buzzer with the 6S lipo battery pack. The voltage display should show ≈58V. Now plug the XLR into the Onewheel or Onewheelplus charging port. We hope you liked our tutorial.